Writing is one of the most written-about topics in the world. For centuries now, or maybe even longer, writers have been giving each other advice about writing—solicited and unsolicited. If you’re a writer, you know the sheer number of books, textbooks, memoirs, and websites on writing at your disposal. It’s easy to get lost in the maze of literature and often conflicting advice, and to get caught up in searching for the one book with the secret to becoming an overnight bestseller. Spoiler alert: Turns out the holy grail of writing advice is entirely mythical. There is no one book, no one website that will help you win the Man Booker prize, and writing—good writing—is mostly about practice, experimentation, and a whole lot of study. There are books, people, and websites who know what they’re talking about and who can help you understand the art of writing and hone it as a craft; who can tell you the ins and outs of the publishing world and the business of writing. It just gets incredibly frustrating and time-consuming, sifting through the hundreds of lists that offer no new insight into writing. 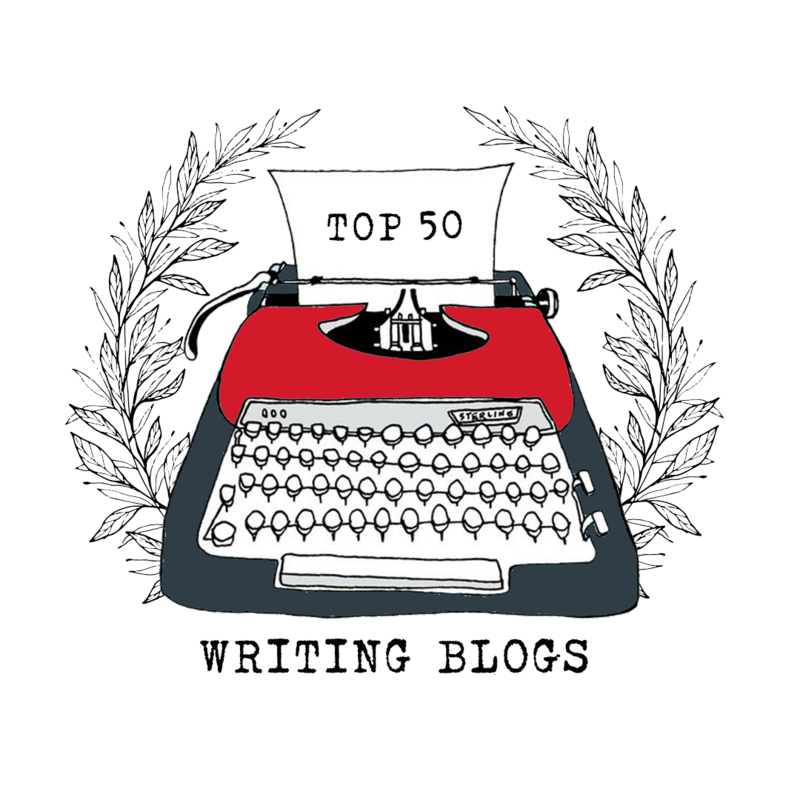 And so, curated for the aspiring novelist on their umpteenth draft, for the author struggling with promotion, for the novice only beginning their journey into the wide world of plot, structure, and character development, the top 50 blogs for writers. Writershelpingwriters.net is a great resource blog for writers looking to really get into the specifics of writing. Here the writer-craftsman will find notes and writing lessons on dialogue, character arcs, plot, pacing… even thesauruses (or thesauri, if you prefer) on positive and negative character traits, words describing emotions, occupations… Check writershelpingwriters.net if you’re looking for a nudge in the right direction. Eva Deverell’s blog, eadeverell.com, is a great resource for writers who really, really like lists. She’s got dozens of clever worksheets on world building, novel outlining, character building—even productivity pages for bullet journal enthusiasts. All worksheets and printables are available for free. This site is excellent for beginners and for intermediate writers who need a fresh eye for plotting and outlining. Bang2Write.com, a blog by novelist, script editor, and blogger Lucy V. Hay. The tagline says, “Writing craft tips for screenwriters and novelists,” and the tips are pretty spot-on for novelists and screenwriters who a.) want to improve their craft and b.) market themselves on social media and to other industry players. C.S. Lakin (novelist, copy editor, and writing coach) is the mind behind LiveWriteThrive.com. More than just lessons on craft and technique, Lakin posts articles about writer’s block—why it happens and how to “fix” it. Lakin’s blog is a great all-around resource for the beginning writer, though it shines most in novel structure. Check out “How to Hook Readers and Reel Them into Your Scenes” for an example of Lakin’s wonderfully practical tips on creative writing. Creative-writing-now.com is another site great for beginning writers and intermediate writers who have hit a snag and are in need of a bit of workshopping. It was created by writing teachers for writing teachers and is a great source of story and poetry prompts, how-tos, and in-depth explanations of otherwise vague and intimidating writing advice like “show, don’t tell.” Creative-writing-now.com offers advice and activities that are friendly, approachable, and accessible. Jon Winokur has written a lot of books—a lot—over twenty, in fact, so you know that the guy knows a thing or two about writing. And so do the rest of the writers featured on AdvicetoWriters.com, which publishes clever, pithy quotes about writing from writers in the canon (e.g., George Orwell, Joan Didion) and from newer contemporary voices (e.g., Michael Chabon, Chimamanda Ngozi Adichie). The Writing.Rocks blog by Marcia Riefer Johnston features enthusiastic advice on tightening prose and the importance of style guides. With articles like “Do You Feel Bad or Do You Feel Badly?” and “Writers, How Much Should You Leave Unsaid?” the blog is a great guide for beginners looking to perfect the ins and outs of grammar, syntax, and tighten their prose. Writersinthestormblog.com is by a group of seasoned writers (Laura Drake, Jenny Hansen, Fae Rowen, and Julie Glover) who want to help writers weather what they call “the storm within.” That is, the self-doubt and fear that comes with putting yourself and your work out there. It’s a great motivational blog for beginners and intermediate writers alike, and offers invaluable advice on character building, story arcs, conflict, and general writing advice. Kathy Steinemann of KathySteinemann.com, or “Grandma Birdie” to her grandkids, is an editor, cartoonist, and writer. She regularly posts wonderful tips for description and increasing productivity, and has lists of 400+ or 500+ or 600+ ways to, for example, describe necks, lips, ears, words for animals… almost everything you can think of wanting to describe. Kathysteinemann.com is a great resource for when it’s hard to find just the right word for something. Prowritingaid.com is good for the writer in search of the right tools in their writing. The blog includes useful tips on editing and rewriting, blogging, grammar rules, and specialized apps for writers. The site also includes some useful services and software for writers in need of a bit of extra coaching and support to really get cracking. HelpingWritersBecomeAuthors.com is the blog of K. M. Weiland, author of several books, including Outlining Your Novel and Creating Character Arcs. She has great advice for beginning writers, and tips about plot, character, and structure. She also has a few amusing articles about common writing mistakes. Check it out. You might find some of yours! Jerry B. Jenkins is a 21-Time New York Times bestselling novelist (The Left Behind series) and biographer (Hank Aaron, Walter Payton, Billy Graham, and many others) with sales of over 70 million copies. He shares his little-known writing secrets with aspiring authors at JerryJenkins.com through in-depth guides like how to publish a book. Our motto at Writers Write is ‘Write to communicate’. Our mission is to teach you how to write. Writers Write is a one-stop resource for writers with more than 1 200 articles for creative writers, bloggers, and business writers on the site. We offer practical, inspiring courses in blogging, business writing, and creative writing. The writer in need of motivation and inspiration should give blogs like PositiveWriter.com a look. PositiveWriter.com by Bryan Hutchinson was created, Bryan said, for “fellow writers who were stuck like I was, stuck in doubt, uncertain of their abilities.” It’s a very positive place for encouragement and community, for some inspiration, and for understanding that writer’s doubt is all in the mind. Lauren Sapala of LaurenSapala.com is another motivational writing coach who started her blog to “nourish, heal, spark, and empower your creative flame. She’s the INFJ who wrote The INFJ Writer and started the WriteCity writing group, and now teaches introverted writers how to fearlessly write, publish, and market their books—not by masking their introversion but by honoring and embracing it in full. Rosanne Bane calls writer’s block, perfectionism, distractions, and busy work “writer’s resistance.” BaneofYourResistance.com offers psychological tools to help you establish a writing routine and to break through the mental barriers that cause writer’s block. Great for writers in need of new coping mechanisms for self doubt, stress, and perfectionism (basically any writer ever). Shannan of TheProcrastiWriter.com has a problem. Like 90% of writers, Shannan is a chronic procrastinator. By her own admission, she spends more time feeling guilty about not writing than actually writing. She started TheProcrastiWriter.com to help fellow procrastinators, and now the site is host to some wonderfully motivational tips for conquering your inner critic, handling vacation guilt, and what to do when your plot changes halfway through writing it. Read “An Open Letter to Lazy Writers” for a great kick in the rear. John Soares has been a freelance writer since 1994. He shares the wisdom of at least two decades of experience on his site, ProductiveWriters.com. He regularly posts articles about productivity and finding motivation, as well as valuable tips on finding clients, a niche market, and other tips for content writing and freelancing. There are even a few tips for designing and maintaining your own website. WriteNowCoach.com/blog is “where someday becomes write now.” Rochelle Melander, author, book coach, and teacher, regularly interviews successful writers and posts articles to help motivate and inspire aspiring authors. She offers writers really valuable tips on overcoming procrastination and how to write through doubt. She also has a series of interviews with other writers, entitled Writers@Work, as varied as Liam Callanan (The Cloud Atlas), and marketing expert Mike Farley. Writing is inherently a solitary act, but writing does not exist in a vacuum and writers need communities to grow in. That’s why writers in need of a community should visit sites like WritingCooperative.com, which is a community of writers “helping each other write better.” They have writing challenges and have a group on Slack. TheWritersAlleyBlog.com. The Writer’s Alley, made up of eleven writers who have made it their mission “to glorify God through [their] writing.” They’re a friendly, inspiring group of writers who post #TipfulTuesdays, helpful writing tips for beginners, and articles with topics ranging from how to overcome self-doubt as a writer to tips about choosing the headshot for your dust jacket. WritersandEditors.com by Pat McNees, a writer and editor with decades of experience under her belt, is a wonderfully supportive community of writers and editors who talk about the A to Z’s of writing, editing, and publishing. You’ll receive straightforward, no-nonsense career advice (such as: “Q: Can I make a living as a writer? A: As a poet, generally, no). You get notes on etiquette in the publishing industry, plus thoughtful articles on ethics, style guides, rights and contracting, and all sorts of news and issues present in the publishing industry today. WittyTitleHere.com is “for female writers who give a damn.” Witty Title Here is a place for feminist writers and readers, and features essays on writing (“finding your why”), empowerment, and telling your story. It’s also a great resource for writing prompts, resources, and challenges. Check out #ResolveToWrite and Witty Title Here’s Writer Spotlight series for oodles of inspiration. Aliventures.com is an excellent community for writers concerned with “mastering the art, craft, and business of writing.” Ali Luke defines the art of writing as “why we do what we do,” the craft as “the techniques of writing well,” and the business of writing as “non-writing stuff that supports your writing.” Join aliventures.com if you’re a freelancer looking to find time to write and master the ins and outs of promotion, getting clients, and ebook sales. Jane Friedman of JaneFriedman.com has been in publishing for over twenty years and counting. You’ve probably already heard of her: she co-founded The Hot Sheet, an essential publishing industry newsletter, wrote The Business of Being a Writer, and regularly posts infinitely useful resources and practical tips on becoming a published author, as well as tips on marketing, promotion, and craft. WritersRelief.com/blog has helped authors reach their publishing goals since 1994. They offer advice to indie authors, as well as writers who want to break into the world of traditional publishing—advice like “How to Submit Short Stories and Poems to Literary Journals” and which writing groups to join. They also have tips on craft for writers who are just starting out. BooksandSuch.com/blog has a great variety of articles from the art and craft of writing to recommended reading. But the ladies of BooksandSuch.com shine the brightest when they’re talking about the publishing industry—about how to get an agent, if you’re ready for one, and how to write a proposal to catch an editor or agent’s eye. Check out articles like “Use High Quality Proposal Ingredients” and “Rumors and How to Combat Them” for some excellent industry advice. Shayla Raquel is an expert editor, seasoned writer, and author-centric marketer. She started ShaylaRaquel.com to help new and established authors market themselves with great, practical tips on marketing from Wall Street Journal bestselling authors, email marketing tips and tricks, and even how to create the best author website for your brand. Joanna Penn, author, started TheCreativePenn.com to help authors write, publish, and market their books. She’s got a ton of good advice about self-publishing; how to market your book; and how to make a living from your writing. Joanna is a bestselling author who writes under the name J.F. Penn and an award-winning entrepreneur, podcaster, and YouTuber. RookieWritersSolutions.com by Robin Murphy (author, traveler, and speaker) helps indie authors keep up to date on social media trends and indie publishing news. Robin also posts writing prompts and thoughtful pieces on writing and publishing books. Check out articles like “Virtual Book/Blog Tours” and her author interviews (with, for example, authors like Jacquelyn Wiles) for an extra dash of motivation. Writers who want to learn how to create content that sells will benefit a lot from a visit to Copyblogger.com. It’s one of the best sites for copywriters, freelancers, and marketing managers on the internet today. They have incredible advice on content marketing, email marketing, even client acquisition and honing your skills as a content writer. They’ve also made a number of really useful ebooks available on content writing and marketing, so go give them a visit. UntamedWriting.com’s blog by Karen Marston (blogger, novelist, freelance copywriter) is all about the ins and outs of freelance copywriting. How do you get a client? How do you start writing for the Guardian? What copywriting don’ts should you avoid under any and all circumstances? Karen Marston posts about that and more in her delightful blog. Jeff Goins is all about destroying the myth of the starving artist. With his books The Art of Work and Real Artists Don’t Starve, and now with his blog on GoinsWriter.com, Jeff Goins teaches you how to market your brand and your work, and how to let your craft or art work for you. He talks about personal branding, marketing and promotion, and most especially, why the myth of the starving artist has to die. MakeaLivingWriting.com is for the hungry freelance copywriter. Carol Tice, award-winning freelance writer, shares her secrets of how she went from content mills to author of several non-fiction books. She offers wonderfully practical advice on marketing, copywriting, and creating a brand that works for you. Check out her site for more information and a free report on what kind of freelance writer you are. Tara Lazar is a children’s book author and a mother of two. She blogs at taralazar.com and talks about the art of writing the children’s book. She regularly publishes tips and tricks, like guides for writing fractured fairy tales and several interviews with artists and writers of picture books for children. Kidlit411.com is a site for kids’ writers and illustrators, and they’ve got a Facebook community as well. They feature publishing news; tips on craft, publishing, and marketing your picture book; and interviews with great authors and illustrators in the picture book business. Check out their recent author spotlight, an inspiring interview with author Saadia Faruqi. TheWriteLife.com has a little bit of everything for writers at any point in their career. They have excellent advice on everything from getting published, to marketing, to freelancing, blogging, and craft, with topics ranging from establishing a writing routine to plot, pacing, dialogue tags, to finding time to write when you have kids. Another great all-around site, community, and blog for aspiring writers, intermediate writers, and even published authors is WritersDigest.com. They’ve been around for more than 90 years; they literally “wrote the book” on writing. Check out their site for invaluable advice on craft and publishing, as well as writer’s resources (podcasts, networking events, publishing and marketing tools), and many more articles sorted by genre, writer goals, and writing levels. Killzoneblog.com is the joint blog of top suspense writers and publishing professionals (Clare Langley-Hawthorne, Sue Coletta, Kathryn Lilly, PJ Parrish, John Gilstrap, Laura Benedict, Jordan Dane, Elaine Viets, Debbie Burke, Joe Hartlaub, Mark Alpert, and James Scott Bell). They take turns every day talking about everything to do with publishing, marketing, craft, and the art of writing. WriterUnboxed.com is “about the craft and business of fiction” -- delivers advanced craft tips from a stable of 50+ contributors (including industry pros and bestselling novelists), advice on perseverance, and industry news. Comments at WU are often as valuable as the posts themselves, driven by WU's diverse community. The site is run by co-founder and editorial director Therese Walsh, who is also a published novelist. WritersTreasure.com is a treasure trove of great tips on honing your craft, mastering clarity, plotting, and even citing sources in your writing. The blog, run by editor, writer, and proofreader Idrees Patel, also features several guest authors with invaluable information on everything from freelancing to thesis writing and so much more. WritersEdit.com is a wonderful resource for indie and DIY authors. The site offers lots of practical advice for beginning authors looking to get into Amazon publishing, dealing with criticism, and tips on productivity. They also offer classes in freelance writing, fiction writing, and keep a list of competitions and opportunities for writers of any level. WritetoDone.com says “unmissable articles on writing” right on its tagline, and it doesn’t disappoint. From the importance of beta readers to vlogging to content marketing, book promotion, and tips on writing a killer book proposal, WritetoDone.com has everything for beginning writers to seasoned publishing industry professionals, indie authors, and authors looking to break into traditional publishing. DailyWritingTips.com has, well, daily writing tips. But they don’t have just daily writing tips, they have tips on business writing, grammar and punctuation, style, spelling, improving your vocabulary, and mistakes you can avoid in fiction, copywriting, and otherwise. They’ve also got a lot of writing challenges and quizzes to keep you entertained the whole day. AngelaBooth.biz by Angela Booth—copywriter, ghostwriter, author, marketer, and writing coach—is a compendium of all the knowledge Angela has collected over her decades in the publishing industry. She offers classes for writers and edifying articles like “Fiction: 3 Quick Tips to Write a Novel in a Month” and “Professional Writing: The Essential Process You Need For Success.” Check her site out for a well-balanced look at the art of writing and how you can make a real living out of your craft. WebSiteSetup.org is a great blog for any writer interested in setting up their own website/blog. WebSiteSetup has many guides on everything that goes around writer platforms. It also provides easy-to-follow guides dedicated to blogging and social media. If you're interested in starting a blog, check out "How to Start a Blog" guide, it shows everything a writer need to know in order to start blogging (in step-by-step fashion). If you simply follow the blogging tutorials on WebSiteSetup, you'll get your blog up and running in less than 30-minutes. To grab your badge, simply copy the code below and paste it onto your own site.